A Kentucky jailer made news recently after inventing an e-cig for his inmates to use during the length of their stay. He simultaneously created a new marketplace for vaporizers, a move that could play a major role in the reduction of cigarette use among convicts in the years to come. Jamie Mosley, now a successful entrepreneur, saw the need for a safer e-cig, one that could be controlled and used on a regular basis by inmates. He created Crossbar for Corrections to solve the problem — and unintentionally created a new sector within the vape community: Special Use E-cigs. Mosley, a former police officer, was elected to run the Laurel County Kentucky jail in 2012. At the time, his jail did not allow the sale of tobacco products, a fairly bold rule that came with its own difficult-to-solve issues. Inmates experienced issues with withdrawal, which led to fighting and even a black market where inmates could get their nicotine fix. Not having tobacco products on site also removed a possible a bargaining chip for the correctional staff, as cigarettes are used at many other jails across the country to promote good behavior. Tired of dealing with the consequences of running a tobacco-free jail, Mosley decided to take matters into his own hands. He knew that traditional electronic cigarette would not work, as the metal devices on the market could easily be used as a weapon. So, Jamie started considering his options. Crossbar for Corrections was born months later, a company Mosley originally had no intention of creating. His low voltage closed device is made entirely out of a transparent soft plastic, and includes some standard features like a three-second puff count and single chamber design. The units are perfect for any correctional institution, and have a variety of other possible uses. The Crossbar is individually serialized and includes a warning label on each unit. The e-cigs are 18mg in strength, which is more than sufficient for those addicted to cigarettes at the jail. The ends of the unit are sealed, minimizing issues created by tampering. Crossbar serves as a non-traditional source of revenue for correctional facilities; e-cig sales can be used to provide a variety of different services for inmates. It has also helped increase inmate morale by making nicotine available to anyone addicted, decreasing much of the conflict associated with running a tobacco-free operation. Crossbar is also in compliance with regulations passed by the FDA, essential for the longevity of the product as a whole. Mosley’s product is now used by 33 jails across the country, and is expected to do $3.5m in sales. The Crossbar is sold to jails for $2-$3 a pop, which are in turn sold to inmates for $10-$15. A new marketplace for devices similar to the crossbar may have been unintentionally created as well, which helps in a big way in the fight against the worldwide tobacco healthcare epidemic. Inmates are now able to get their nicotine fix for the day, while simultaneously weening themselves off cigarettes and other traditional tobacco products. A nation less dependent on Big Tobacco, and more open to a less harmful alternative, is well on its way. 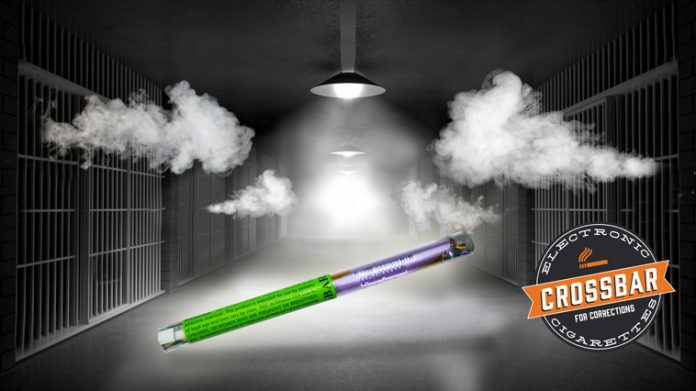 Visit Crossbar.com for details on Crossbar for Corrections, the correctional facility approved e-cig. 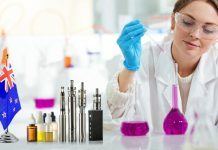 Want to keep up on the latest vaping news? Check out our Vape News page!